Glue Dots® are pre-extruded hot melt "dots" of adhesive and are 1/2" diameter. Peel n' stick adhesive. Faster and safer than hot glue guns. Cleaner than liquid adhesives. 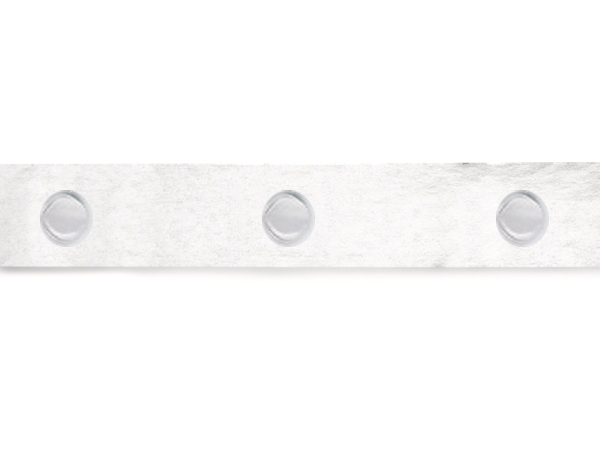 Removable dots leave no sticky residue behind like tape. Just peel and stick! Perfect for crafts, scrap booking, balloons and more! Packed in a convenient, sturdy dispenser box for easy and quick application. Use for product assembly or as a protective "bumper" between glass or other delicate surfaces. Adheres to paper, plastic, glass, Styrofoam, wood, Teflon, foil and more. Too many uses to list! Glue Dots™ are Safe and Non-Toxic. Available in removable high tack or permanent super high tack.